The Vilaine is a pretty river which rises in Mayenne and flows through Rennes to the Atlantic Ocean. Follow the towpath from Redon to Rennes, or vice versa, on foot or by bike. This 95km trail offers a wide diversity of scenery including little ports, villages and character towns. A great advantage is that you can return to your point of departure by train. 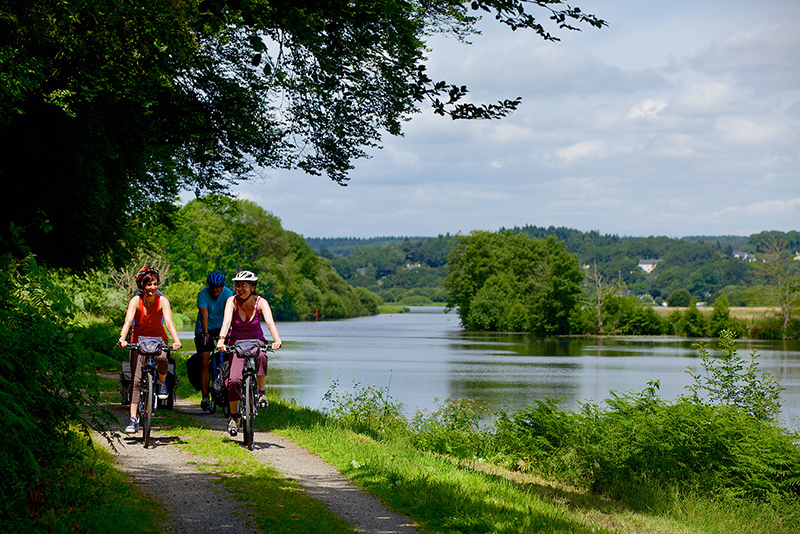 The different stages along the towpath beside the Vilaine are described in the Guide to the Canals of Brittany, which also features the Nantes-Brest Canal, the Ille-et-Rance Canal and the Blavet Valley. From Rennes the path runs beside the Etangs d'Apigné (lakes) and on to Pont Réan passing through the magnificent natural attraction of Le Boël (a popular destination for people from Rennes on Sunday afternoons). Next you come to another natural attraction, La Courbe, at Bourg des Comptes which is on the other side of the river. Cross the river via the footbridge then come back to continue along the towpath to Guipry-Messac. This pretty waterside village, which was once an important salt port, has 17th century houses and a pretty mill which is now a bar-restaurant and very popular with passing pleasure boats. The adventure continues past pretty waterside halts like Port de Roche at Langon and Beslé sur Vilaine. Take a short detour, if you wish, to the centre of Langon to see the pretty church and Chapelle Sainte Agathe, a Gallo-Roman gem of colourful red sandstone and black shale. Brain sur Vilaine, a little village with a wealth of stone-built houses, is followed by picturesque IIlette, Painfaut, Pont du Grand Pas and, finally, Redon with its imposing abbey, splendid ship-owners houses and its port in the centre of the town. Don’t forget, you can catch a train back to your starting point ! 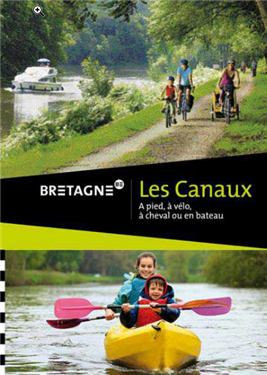 Find the free guide (in french) at the tourist office to the Canals of Brittany, which also features the Nantes-Brest Canal, the Ille-et-Rance Canal and the Blavet Valley. Vous aussi testez "grandeur nature" des balades sur la Vilaine ! 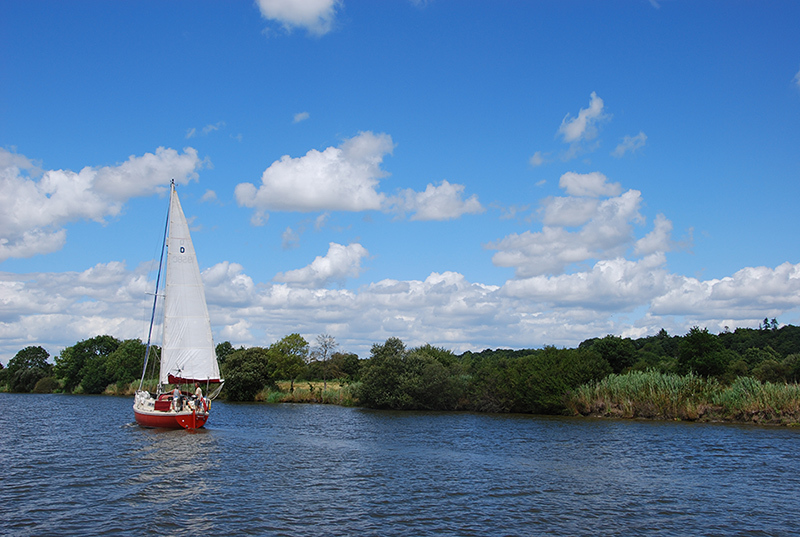 - Picnic boat cruise to disover La Roche Bernard from Redon.